Today in National Homelessness Week the Liberal National government rushed through legislation that will allow police to remove the homeless people from Martin Place, seize and destroy their belongings and break up non-“authorised” protests within the CBD. This is a heartless response from a heartless government that would rather see homeless people disappear than take action. The Greens condemn the Liberal National government’s actions. “Today in National Homelessness Week the Liberal National government rushed through legislation that will allow police to remove homeless people from Martin Place. “Instead of passing legislation to increase public and social housing so these people have a permanent place to live, laws have been passed to just move the problem out of sight. 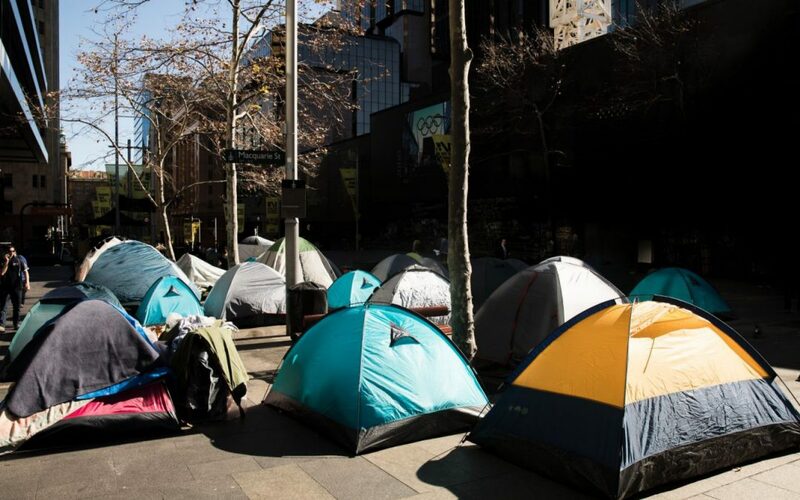 “These laws are an attempt by the Government to provide cover for what will be a potentially violent and aggressive act towards homeless people in Martin Place, that is, removing them from the space that has become their temporary home. “We have a housing crisis in NSW and the obvious solution is to invest more money in social, public and affordable housing, instead NSW Parliament has rushed through a shameful set of laws.” Ms Leong said. “What is really offensive is that the Premier’s first answer to homelessness is more police powers. “This is a new low from the Liberal National government, rather than providing permanent housing, they are giving police sweeping new powers to arrest the homeless and to seize and destroy their belongings. “These laws extend well beyond dealing with homelessness, they can and will be used to break up protests and other peaceful occupations in the CBD. “This is a heartless and shameful government that continues to move us closer and closer to a police state.” Mr Shoebridge said.